I love making these young backed potatoes fresh from the garden with mushrooms. It’s a very quick and easy dinner that is very tasty. Wash and dry all the mushrooms. 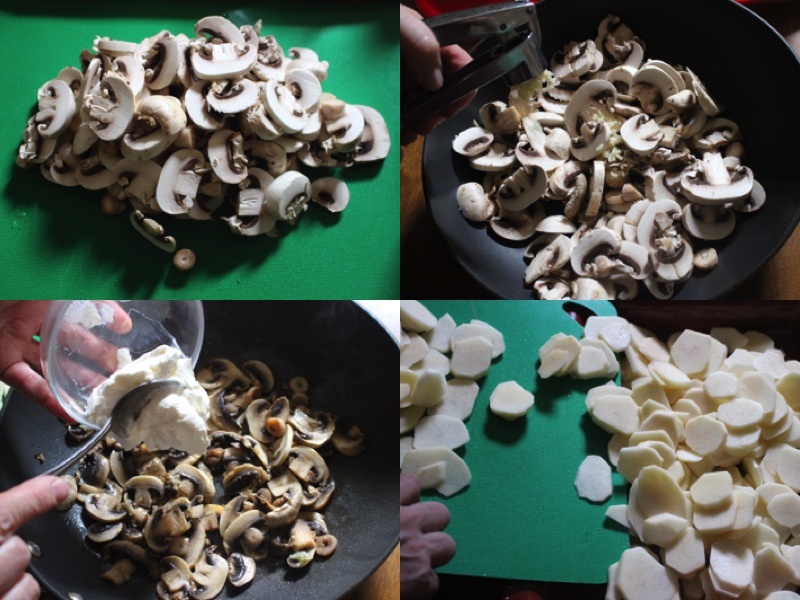 Slice all the mushrooms and place in the skillet with hot oil. Let them fry for 4 minutes and then add sour cream and fry for additional 2 minutes. Mix while it’s frying so they do not burn. Wash , Dry, Peel potatoes. Then cut them as shown in the picture above and place in the baking container. 4. Add the boiling water into the mushroom mixture. 5. 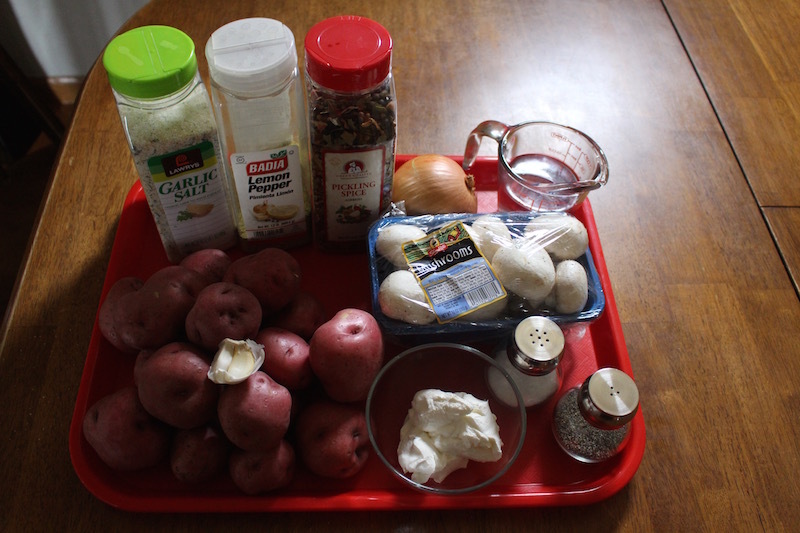 Cut onion and add onto of the potatoes with all of the seasonings. 6. 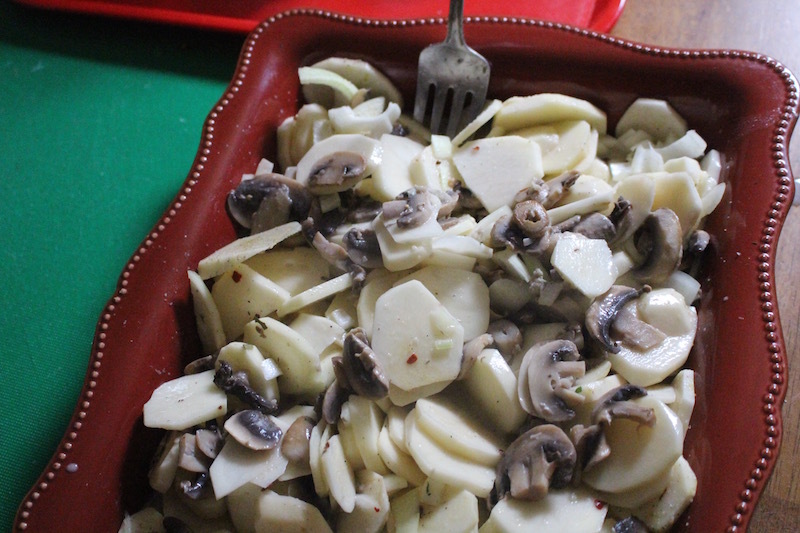 Pour the mushroom mixture on top of the potatoes and mix well. 7. 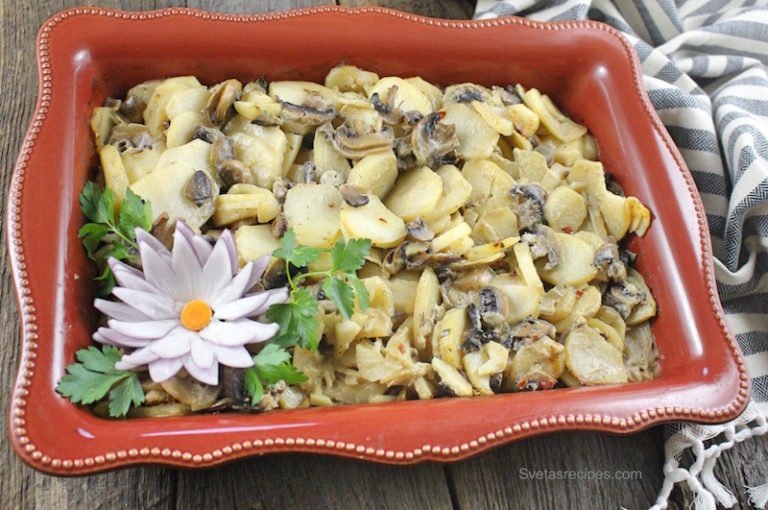 Cover the baking container with foil wrap and bake for 1 hour and 30 minutes at 400 F.
I love making these young backed potatoes fresh from the garden with mushrooms. It's a very quick and easy dinner that is very tasty. Slice all the mushrooms and place in the skillet with hot oil. Let them fry for 4 minutes and then add sour cream and fry for additional 2 minutes. Mix while it's frying so they do not burn. Add the boiling water into the mushroom mixture. Cut onion and add onto of the potatoes with all of the seasonings. 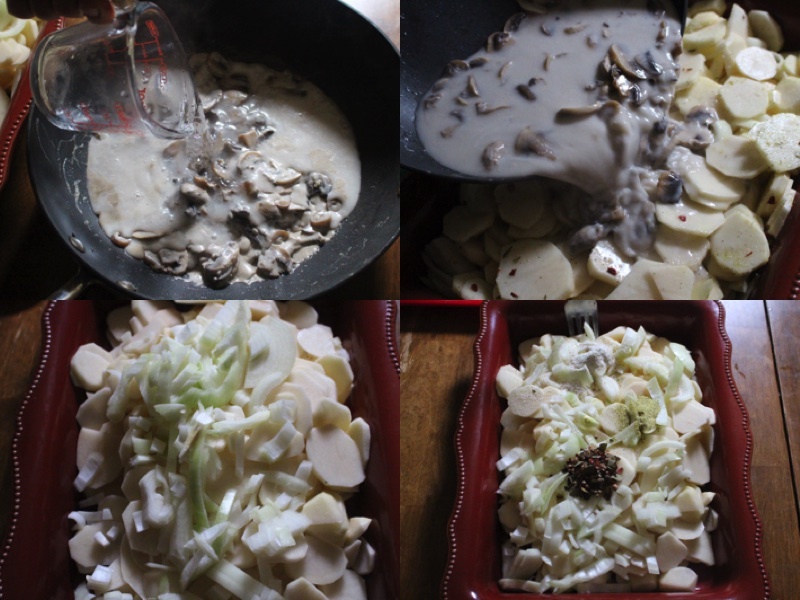 Pour the mushroom mixture on top of the potatoes and mix well. Cover the baking container with foil wrap and bake for 1 hour and 30 minutes at 400 F.